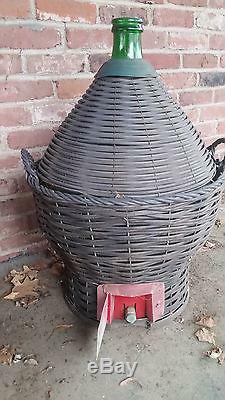 Beautiful, 54 litre (15gal) Demijohn. Brought back from Calabria, Italy circa 1980. 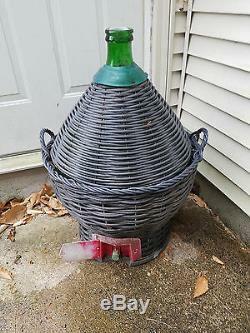 Can use for wine-making or remove basket and fill with small white lights. The item "LARGE Italian green glass demijohn with spigot/tap" is in sale since Wednesday, May 17, 2017. This item is in the category "Collectibles\Bottles & Insulators\Bottles\Modern (1900-Now)\Wine". The seller is "lacc93" and is located in Windsor Locks, Connecticut. This item can't be shipped, the buyer must pick up the item.